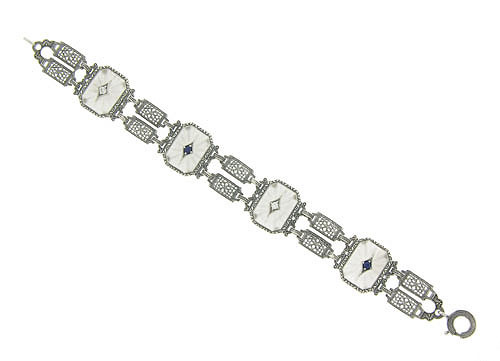 A quartet of delicately framed crystal links set with sapphires and diamonds decorate the face of this elegant antique style bracelet. The crystal links alternate with pairs of intricate filigreed links. The sterling silver bracelet measures 6 3/4" in length, 3/4" wide.